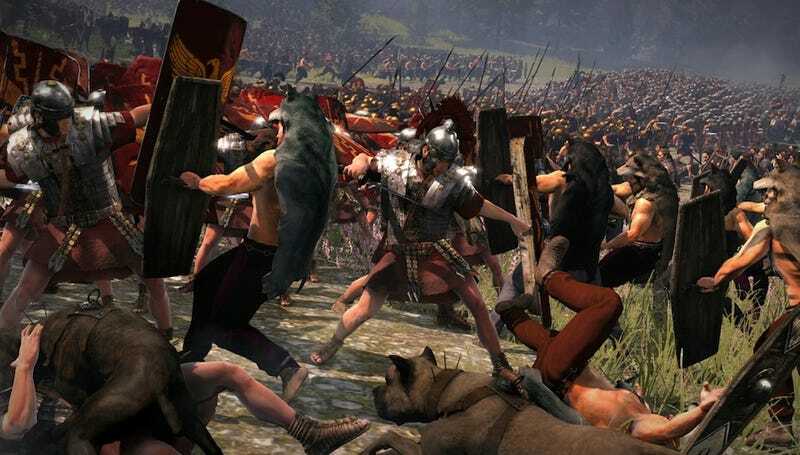 It's likely that the amount of content will justify it (at least, that immense screenshot they shared helps give that impression), but man alive is Total War: Rome II going to take up a lot of hard drive space. 35 gigabytes, to be precise, according to the recommended specs released today by Creative Assembly. Time to start clearing out those unplayed Steam games, folks.